TOOTH GERM: Fun in Frome or Should I say 'Froom'? Fun in Frome or Should I say 'Froom'? A few weekends ago together with some of my girlfriends headed to Frome in Somerset for a long weekend of relaxation. Despite our age, none of us can drive or are confident drivers, so when we looking for a place to visit we needed to be able to access it easily by public transport. Frome is a short train journey from Bath Spa so really easy to get to from London and the South of England. Once again limited by accessibility by public transport we used Air BnB to find a little cottage to stay and found a fantastic place with a hot tub (and pool in the summer seasons), see here to have a sneaky look of the place. I'd never used Air BnB before but I would definitely recommend it if you are travelling in a bigger party of people and the hosts were very welcoming and helpful, eager to answer any questions we had about the area. We discovered as we arrived on the trundling train from Bath, that actually Frome is pronounced 'Froom' like a broom, rather than Frome like a home. We found this hilarious and I realised then why my mother throught I was heading to Italy (she thought I said Rome when I spoke to her...). Frome is a quiet and charming town which is perfect for those looking to get away from the busy city with quirky shops, pubs and restaurants. Just make sure you plan your train journey there and back as although there are plenty of trains during the day, the times can be irregular. 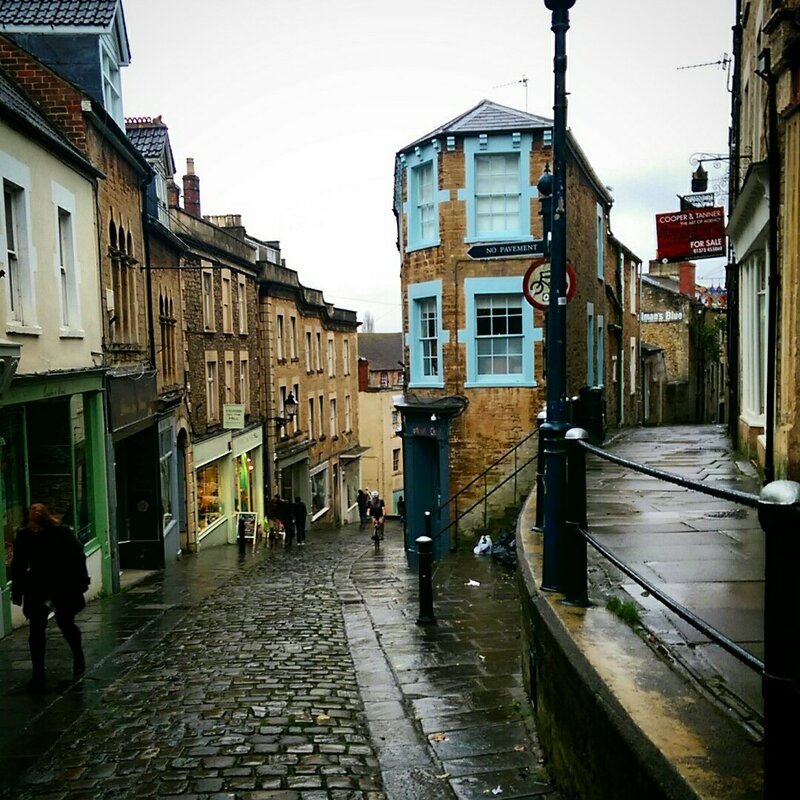 Despite the weather being pretty poor the weekend we were there, we explored the winding cobbled streets of the Artisan area of the town and had the yummiest Sunday lunch at the 'Old Bath Arms' - a restaurant/pub/BnB which was the winner of Channel 4's Three in a Bed! To read more about Frome, see here. 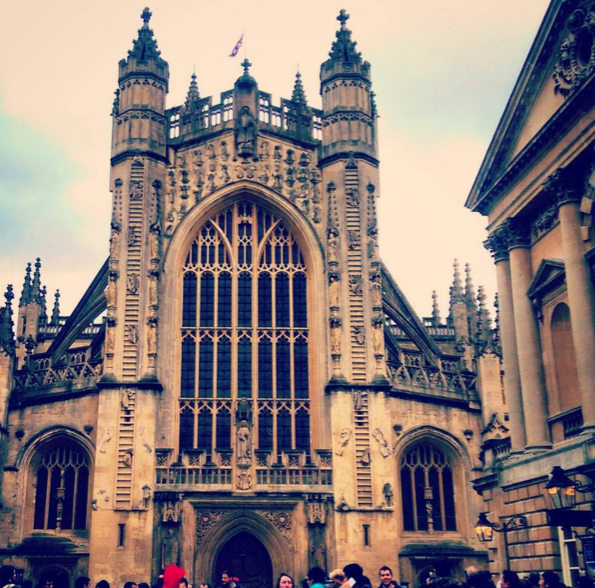 Being so close to the UNESCO World Heritage site of Bath, we had to find an excuse to explore the city. As it was Bonfire Night weekend, we found that the biggest display in the area was being held at Bath Rugby Club so we braved the cold to watch a really good display of fireworks. The city itself is beautiful, full of grand yellow-stone Victorian style buildings including the Abbey, the famous Crescent and Circus. Bath is the only place in the UK where you can bathe in naturally hot spa water and original Roman style baths. Unfortunately, we didn't have the chance to check these out but they are definitely on my list of things to do when I manage to explore the city again. We ate out at an Italian 'The Real Italian Pizza Co.' which was reasonably priced and had a vast menu to choose from (it also accepts all the major chains vouchers if you have any!). Overall we had a fantastic weekend drinking Prosecco in our hot tub, exploring the quaint streets of rural Somerset and being wowed by brilliant fireworks. Having a long weekend to get away from things is something that we all need every now and then to refuel you until the next break away!